Mave Gasaway is a partner in the Environmental Group at Davis Graham & Stubbs LLP. Her practice focuses on regulatory, litigation, and transactional counseling in the fields of environmental and natural resources law for clients in a variety of industries, such as oil and gas, manufacturing, renewable energy (e.g. wind, solar, and biofuels), mining, railroads, and non-profits. Ms. Gasaway’s experience includes assisting clients in matters involving the Clean Water Act (CWA), the Comprehensive Environmental Response, Compensation, and Liability Act (CERCLA), the Resource Conservation and Recovery Act (RCRA), and other federal and state environmental laws, as well as common law toxic tort liability and local land use regulation. 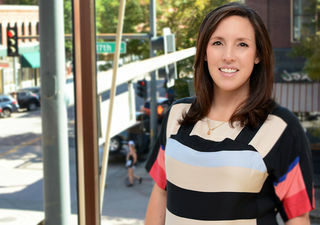 Ms. Gasaway has extensive experience representing some of the firm’s largest clients in complex environmental litigation and site remediation and reuse matters in the West, particularly under CERCLA, the CWA, and state law counterparts. She has also worked with both developers and lenders on regulatory and transactional matters for renewable and fossil-fuel energy development projects, and has assisted clients with appeals before the Ninth Circuit, Tenth Circuit, and Colorado Court of Appeals. "Endless liability? Evaluating whether to settle or litigate private environmental lawsuits at regulated sites," ABA Trends, (Nov/Dec 2018).